A primary objective of the Chicago Baseball Museum is to promote the study of the rich history of the sport locally. The Jerome Holtzman Library and Research Center is the foundation of those efforts. 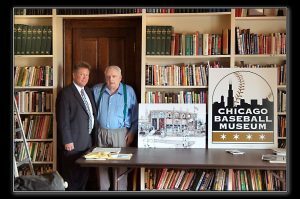 Named after the Hall of Fame sportswriter, the library includes documents and artifacts that are significant to the cultural and sociological aspects of Chicago baseball. 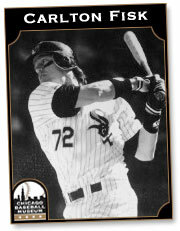 In 2008, Holtzman entrusted his immense personal collection to the Chicago Baseball Museum prior to his death. It features anthologies, biographies, commentaries, encyclopedias, instructional volumes, media guides and team histories as well as personal notes and research papers. Of particular note are the private documents and transcripts of Congressional hearings, grievances and trials, Joe Jackson vs. White Sox (1924) and Pete Rose vs. Major League Baseball (1989) among them. Research materials include the American League Red Book, National League Green Book, Baseball Digest, Baseball Research Journal, Elias Book of Baseball Records, Holtzman Major League Pitching Records, Sports Illustrated, The National Pastime, The Sporting News, The Sporting News Guide, The Sporting News Register and Who’s Who in Baseball.